Every year, Mother’s Day comes along, and every year, you find an uncharacteristically innovative way to screw it up. Sending your mother a gift is great and generally, a homemade and personalized Mother’s day gift with sincerity, careness and love can show your mom your careness towards her. This Mother’s Day, surprise your mom with a Mother’s Day DVD and say thank you to her. Wanna to make your own Mother’s Day DVD? Well, have a try with iFunia DVD Creator for Mac. Its performance and function are designed especially for making DVD with menus and background music on Mac. Just with several mouse clicks a Mother’s Day DVD will be done. Now follow the steps below. Download iFunia DVD Creator and install it. 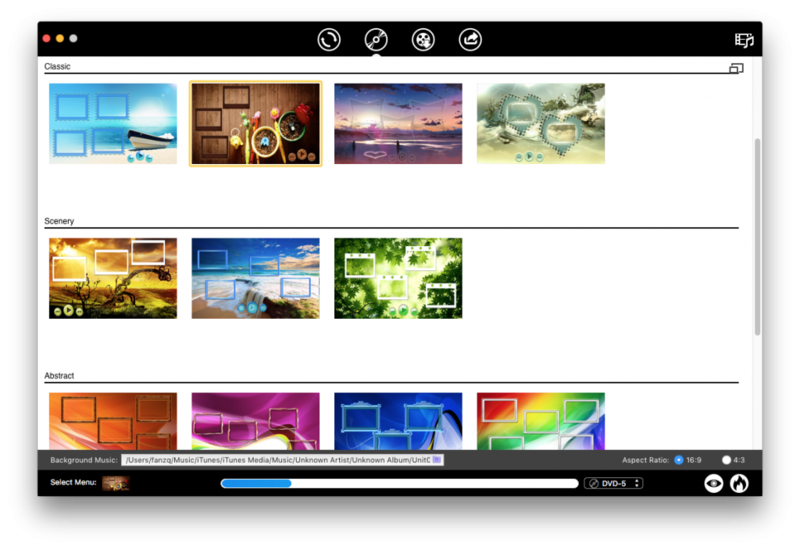 load your videos into the program by drag&drop. When complete, preview the videos in the left Previewing window. On the right source window, you are free to organize the videos order. It support almost any format videos you throw at it and delivers intact output quality. click HERE to learn the detailed input and specs of DVD Creator for Mac. On the right panel of DVD Creator for Mac, double click a video you need to enter the edit interface. You can trim the length, crop the size, adjust the effect as well as add watermark to the video clip. If you want to burn your Mother’s Day slide show onto DVD, iFunia DVD Creator allows you to author a personalized DVD menu. So, after switching to Menu tab, choose a menu template for the mother’s day DVD. You can also specify the background music and background image, set font style, size, color, etc to customize the menu template. It’s great that you can preview the created DVD before burning to make sure everything is going well, and then you can choose to burn a DVD disc, a DVD folder, or a DVD ISO File. Make settings (e.g. Output destination and TV standard) in the resulting dialog and click “OK” to start burning your wedding video files to DVD. After a while, you’ll get prompted when DVD burning is complete. looks great! I might give it a try. I’m going to try the DVD creator..